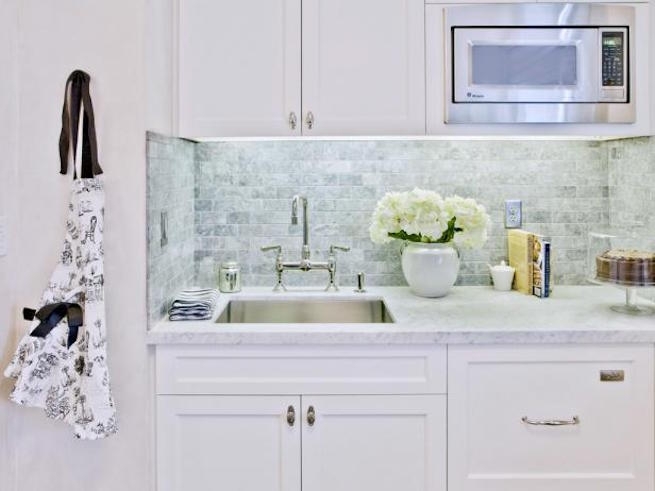 At Area Floors we know picking out the right backsplash for your kitchen or bathroom can be a challenge. Luckily we have some tips to help you get started designing the best tile backsplash for your Portland home. Trends – try to avoid using trendy tile for your backsplash tile. Your tile will last much longer then the latest trend will. Don’t compare backsplash tile prices with floor tile, even though tile for your backsplash is smaller they are not less expensive! Be realistic, and if you fall in love with something you can’t afford try using it sparingly with another lower cost tile. Don’t compete with other materials, keep it simple. If your installing a tile backsplash where you already have countertops installed you should consider the amount of movement and pattern that is in your countertops. If they are simple, go for it get that wild splash, but if they already have a lot going on you might consider something for your tile backsplash that has less movement. Tile Patterns – check this link for a large library of patterns!